Summary: There is no code Elroy Coffin can’t break, nothing he can’t hack, no safe he can’t get into. But for the past two years, he’s been incarcerated in a maximum-security hellhole after a job gone bad, driven to near-madness by the revelation of his beloved wife’s murder. 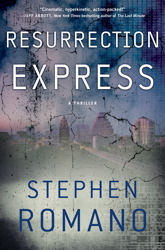 Normally, RESURRECTION EXPRESS by Stephen Romano is the type of book that I would pass along to Booking Pap Pap. However, I decided to keep this one for myself since the reviews were crazy good... especially for a debut novel. RESURRECTION EXPRESS is a high-tech thriller which has more twists and turns than your average thriller, and it also has loads of deception. It is a well-written and extremely fast-paced novel that will definitely manage to turn a few heads. RESURRECTION EXPRESS tells the story of Elroy Coffin, a man who is a master hacker -- he really can breach any security system. That is, until a job went bad and Elroy found himself in prison. Serving time is hard enough, but Elroy has allowed himself to be consumed by grief for the death of his wife. He's not exactly in a good place. After two years of serving time, a "concerned citizen" has a proposition for Elroy. She can give Elroy his freedom in exchange for a job. She needs him to hack into a very complicated security grid. She also tells him that his wife might still be alive. How could Elroy say no? However, this job proves to be much more involved than even Elroy imagined. He finds himself caught up in a web of deception and betrayal, and he has no idea what he should believe or whom he should trust. RESURRECTION EXPRESS is highly entertaining! I truly can't remember the last time I read a book with this much action. The entire novel was extremely fast-paced and even the prose was snappy. It is definitely not a book that you want to draw out because you will quickly become caught up in the characters and their betrayals; and you will have to keep reading because you can't imagine what's going to happen next. Trust me when I say that I had absolutely no idea where this book was going to go; and I couldn't even begin to try to figure out the "mystery" because I was sure that my mind wasn't as creative or as sharp as the author's. One of my absolute favorite things about RESURRECTION EXPRESS was the character of Elroy. I found him to be extremely likable (despite his career choice and ethics! ); and I enjoyed how complex and even damaged his character was. The story is told in his voice and the writing is smart and witty, and it only took a few pages before I found myself rooting for Elroy. What I found so unique about this novel and the character of Elroy is that he was almost an unreliable narrator at times -- not that it was his fault! I loved how the author played mind games with me when it concerned Elroy's version of events! There is no doubt that author, Stephen Romano, is one talented guy. He pretty much does it all! 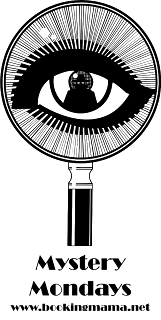 He is a multi-media artist who has done work in the horror, crime fiction, and sci-fi fields; and he has also won some awards for his work. In addition, he is an accomplished author, screenwriter and illustrator. I have a feeling that we'll be seeing a lot more of this man in the future. In conclusion, RESURRECTION EXPRESS is a fast-paced (well, really a super fast-paced) thriller that is guaranteed to pack a powerful punch and mess with your mind! This sounds appealing although I too get "dismayed" shall we say when there is loads of techno jargon and I, of course, have no idea what any of it is about! Add me to the camp that gets bogged down in techno jargon but this one sounds like a good read. When I read books like this, I always wonder if someone could actually get someone out of jail like that - the thought scares me! This sounds like a page turner but I'd probably get bogged down in the jargon too. 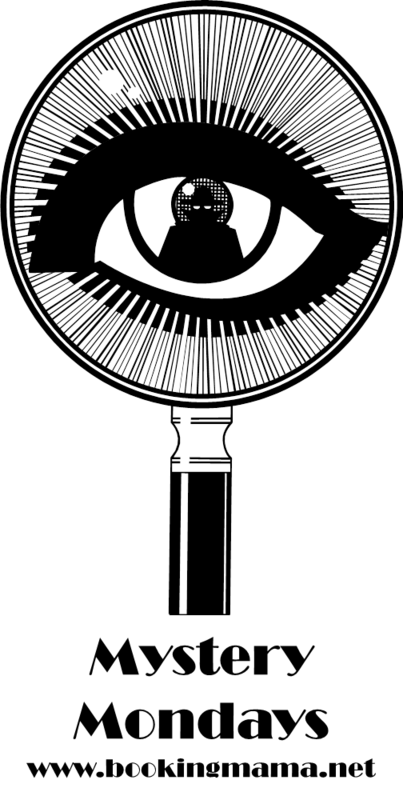 You invite people to share their thoughts on recent mysteries they've read. I recently finished a pretty good mystery, PLAYING DEAD, by Julia Heaberlin. Right now I'm reading a thriller that might also be considered a mystery: ALTAR OF EDEN by James Rollins. It's the first of his books I've read,and he's quite good. I have this one. Until your review, I wasn't certain if I'd review it. Your excitement has pushed me over the edge...I'm diving in!